You should end up with two front and back panels for the pants. As for the waistband, the length can be done as long as you'd like, ours was 4''. Since this piece will be shirred, it's width needs to be at least times your waist measurement. Typically, slim pants for women measure 10 to 14 inches around the ankle, while wide-leg pants go up to 20 inches. The flared or bell bottom style, usually with a fitted cut through the thigh, rounds out at the ankle at 21 inches or more. Trace your pants. 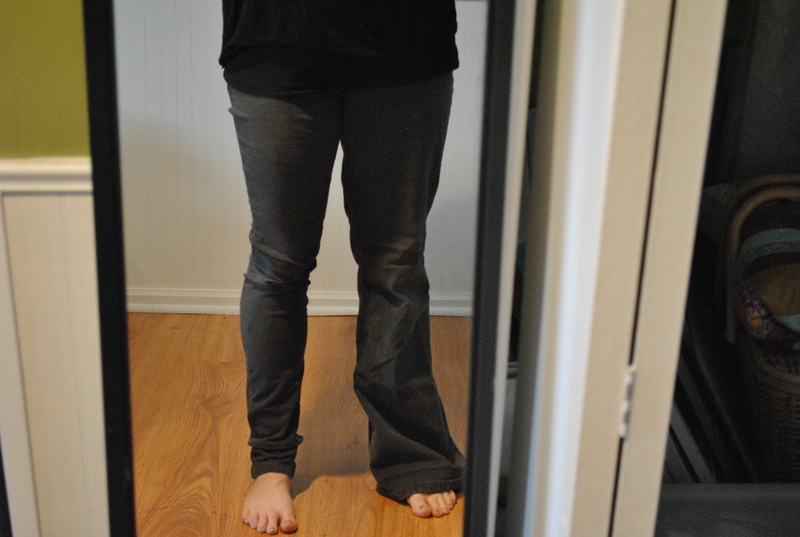 One side should be a straight line (if it’s not, it’s probably because of the elastic waistline you’ll want yours to be straight though) and the other should come out into a bit of a peak in the crotch area and than taper down the leg.